This will probably be the last update on the 2016 Study Group. We have 42 folks registered. The bus seats 55. I will be on the road from Friday, March 4 onward, and so I will not be able to record and confirm your registration after that date. At this point, if you are planning to attend and have not yet sent in your check for Friday the 11th, you’d better plan on signing up on-site. Remember we meet at the Chickamauga-Chattanooga Visitor’s Center at 8:00 a.m.
On Friday evening, we will be conducting a Q&A panel from 7:30 to 9 PM. That Panel will be held at Fort Oglethorpe’s Constitution Hall, 201 Forrest Rd, Fort Oglethorpe GA, just a few minutes from the park’s north entrance. I decided to include the panel this time because there are often questions that arise on the bus, and not everyone gets to ask their question, nor do we always have time to answer. The panel is new this year, and a bit experimental: We’ll see how well everyone likes it. I hope to see you all there. Thanks, once again, for making this a great event. Yesterday, Feb 26th, marks an important date: to wit, the beginning of the editing process for The Chickamauga Campaign, Volume Three: Barren Victory. I received the first two chapters of edited text from Ted Savas, and have started working through the notes and comments. I also received this prototype of the book cover earlier in the week. Barren Victory will be published this fall, September 2016. When it appears, it will represent the completion of a 17 year project (start to finish) representing a good chunk of my writing life. Signing off on that last chapter will be both extremely satisfying and feel a bit like I have lost something important. The editing process should go fairly rapidly. you’d think that after four previous books with Savas-Beatie, I would have learned to do everything right the first time – hah!. Still, the first comments were not angst-inducing. A couple of weeks ago, I was notified that Glory or the Grave, Vol. II of The Chickamauga Campaign, was going to be awarded the prestigious Richard B. Harwell Book Award, for best book on a Civil War subject published in 2015. Now that the Atlanta CWRT has publically announced the award at their recent February meeting, I can also make mention of it here. Of course I am delighted. Casting over the list of previous recipients, I am also humbled – there are some heavy hitters on that list. Even more humbling, I am the first two-time recipient; the Atlanta CWRT awarded the Harwell prize to Failure in the Saddle for 2010. As an author, it is of course gratifying to receive recognition for one’s work. This is recognition indeed. Even better, perhaps Chickamauga is emerging from the dark ages of Civil War scholarship after a long drought. This complex battle, filled with drama both personal and martial, deserves more recognition. For the Atlanta Civil War Round Table’s announcement, go here. Hello, just a quick update. We now have 38 folks signed up. The bus holds 55, so we still have room. I expect, based on previous history, that we will have about 45 – 50 folks, so if you want to make sure you have a seat ( in case of last minute surges) get your reservation in soon. Here is the link providing full details. Looks like we made the right call on Resaca – the park is still not open, though things are progressing. It looks like the grand opening will be on May 13, 2016. A few more details here. On Friday, we will be stopping first at Cameron Hill in Chattanooga, to discuss the Confederate dispositions to defend the town, and also view the forbidding terrain on the north bank. After that, we will head west towards Jasper, and then up the Sequatchie Valley for a ways before we ascend the western side of Walden Ridge. We will be tracking the route of the 21st Corps, and more specifically, Wilder’s, Minty’s, Hazen’s, and Wagner’s brigades as they conduct their deception operations in front of Chattanooga. This part of the campaign is not much traveled by tour groups; it is remote and time-consuming – hard to squeeze into a conventional tour. The ongoing success of the CCNMP Study Group has allowed us to explore many such secondary sites, as well as enjoy some of the best scenery in the southeastern United States. See you in just about a month. A day in a life . . .
Thousands of young men experienced the whirlwind that was the battle of Chickamauga. Approximately 125,000 combatants were on the field, with perhaps another 10-15,000 nearby, or present but considered non-combatants. All of those who survived its fury would have stories to tell. But of course, most of those men went on to lead full lives. Lieutenant Albion Tourgee (left) of the 105th Ohio was only 25 in September of 1863; Private Dankmar Adler of Battery M, the 1st Illinois Light Artillery was 19. They were both small cogs in the vast war machine that was the Army of the Cumberland. Tourgee was a native-born American from Ohio, born to a family of Methodist farmers. He was enrolled at Rochester University in New York until he joined the army in 1861. Dankmar Adler was a German Jew, son of a rabbi; he and his father immigrated to the United States in 1854, when he was only 10 years old. Adler had some schooling but no college. He was working as a draftsman in Chicago before he enlisted. Both men fought at Chickamauga. Tourgee emerged unscathed, while Adler (right) suffered what was reported as a minor wound to his foot. Neither of their contributions were unusually heroic or noteworthy, though they did not shirk from their duties, which is perhaps heroic enough for any man caught up in the vast conflagration of a Civil War battle. They would, however, leave their mark on the nation. After the war Tourgee became a lawyer, a newspaperman, a novelist, and a judge. Not in Ohio – instead he went to North Carolina, where he attempted to help make reconstruction work. He was an abolitionist who fought passionately for equal rights for all citizens, a cause he espoused in both his books and on the bench. Despite the failure of reconstruction, he continued to be a part of the civil rights struggle all through the 1880s and 1890s. In the America of the Gilded Age, fighting racism was a losing battle, but Tourgee was not one to quit. He also could not win. 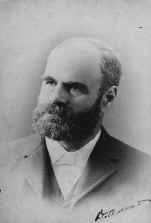 He was a co-chief counsel for Homer Plessy, the plantiff in the landmark Supreme Court case of Plessy vs. Ferguson, in which Plessy lost and “Seperate but equal” became the law of the land. Jim Crow would hold sway for the six decades. Dankmar Adler’s impact on the United States was more concrete. After the war Adler returned to his job as draftsman for a Chicago architect. He spent the next 15 years as an employee and later partner of several architects. 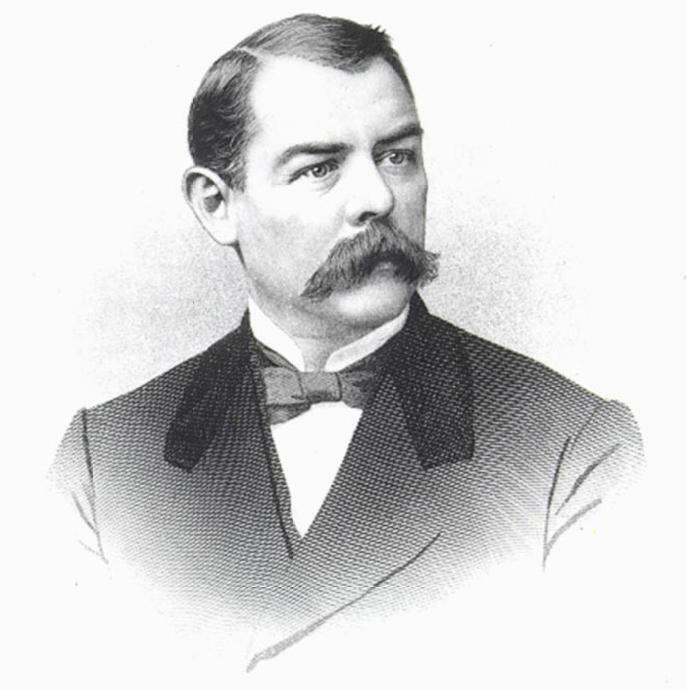 In 1880, he formed his own firm, hiring Louis Sullivan to work with him. The firm of Adler and Sullivan, of course, became famous. Sullivan designed the first modern skyscraper, a steel-framed building concept that could rise to dizzying heights. Adler’s specialty was acoustics, building a number of superb auditoriums, halls, and synagogues. And, of course, before Sullivan and Adler split, the firm gave another aspiring architect his start: Frank Lloyd Wright. I confess I find Adler’s acoustical talents most interesting. What must he made of the unholy chorus that was the battle of Chickamauga? And what of those cannon? Modern soldiers where ear protection to prevent damage, but such was unheard-of in the Civil War. Tourgee and Adler might have only been spear-carriers in the drama of 1863, but they took leading roles on later stages.